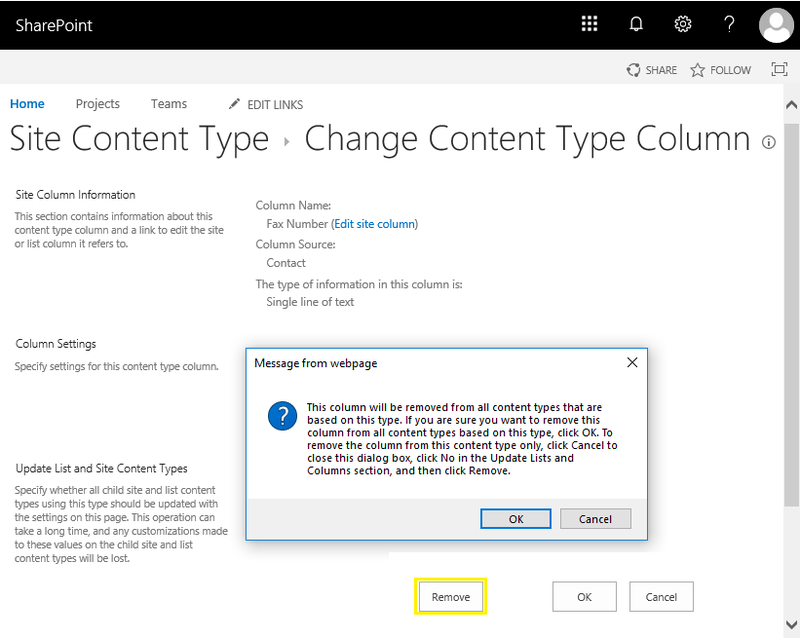 Requirement: Remove a Site Column from Content Type in SharePoint Online. How to Remove a Column from Content Type in SharePoint Online? Pick the content type from the page, In the columns section, Click on the column to remove from the content type. In the change content type page, click on "Remove" button and confirm the prompt to delete the column from the content type. $ContentTypeName ="Crescent Invoice Template V2"
Write-host -f Green "Field '$FieldName' has been removed from Content Type!"